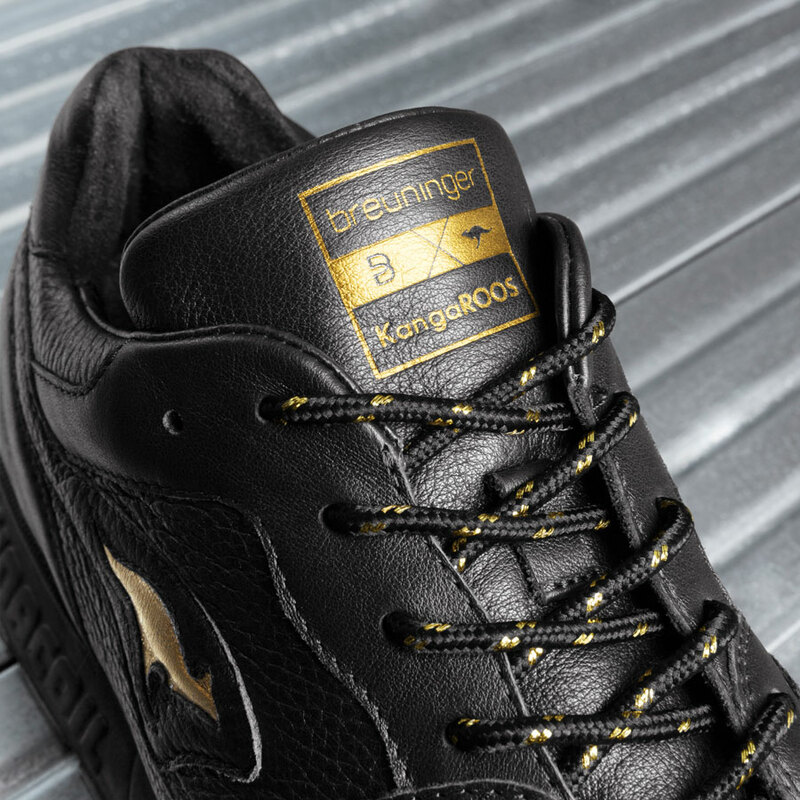 For an exclusive 2019 collab, KangaROOS teamed up with long-established German retailer Breuninger. 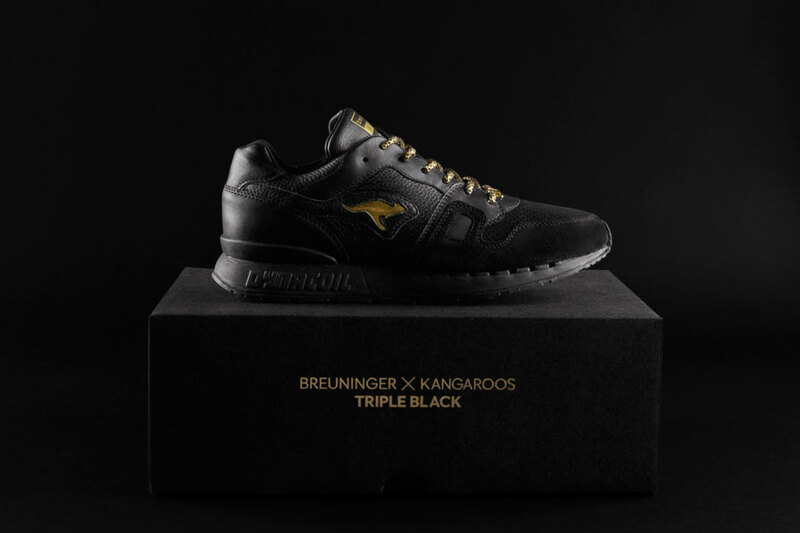 The Breuninger x KangaROOS Triple Black perfectly complements the stores exclusive menswear range. 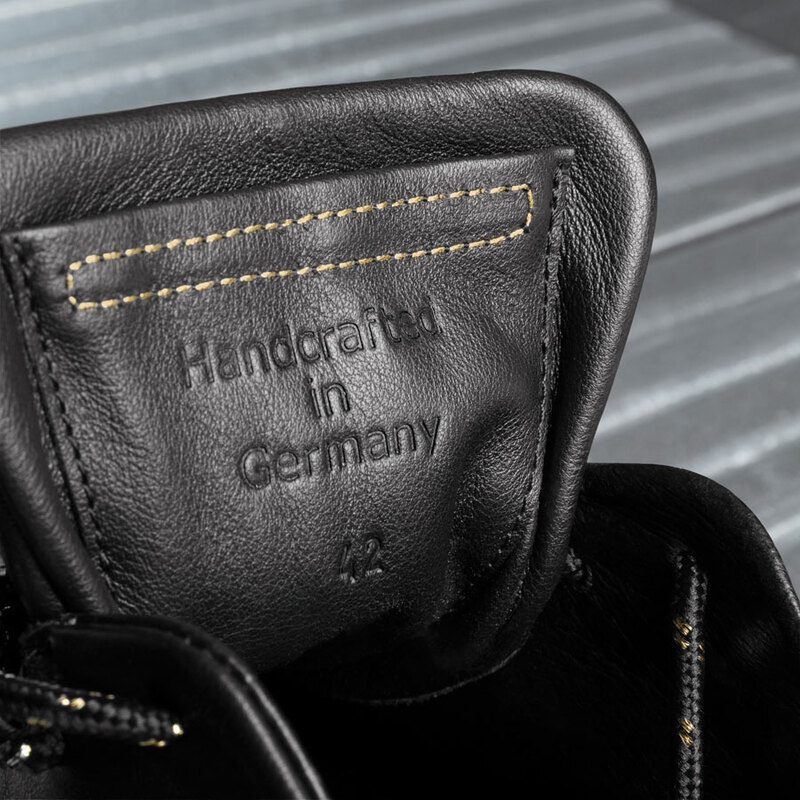 As usual, the sneaker brand brings in unparalleled “Made in Germany” quality. 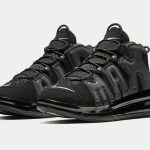 With black suede, structured and smooth leather, the handcrafted shoe features three different premium materials. A special collaborative logo and a ROOS logo in gold then grace the tongue and sidewalls respectively. 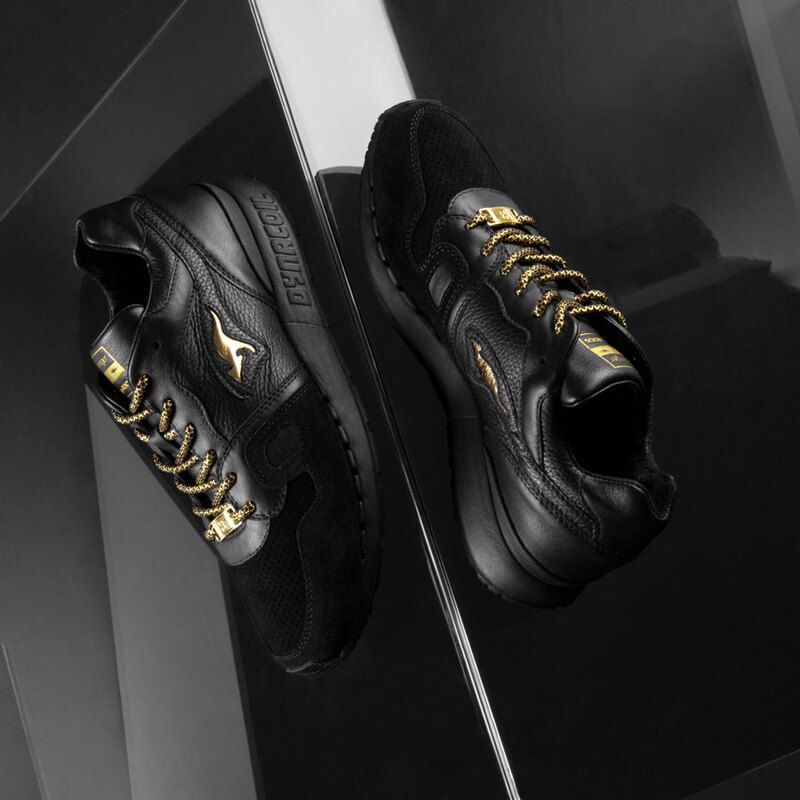 Three sets of laces add style versatility, while an exclusive shoe box in black matches the sneaker’s sophisticated design. 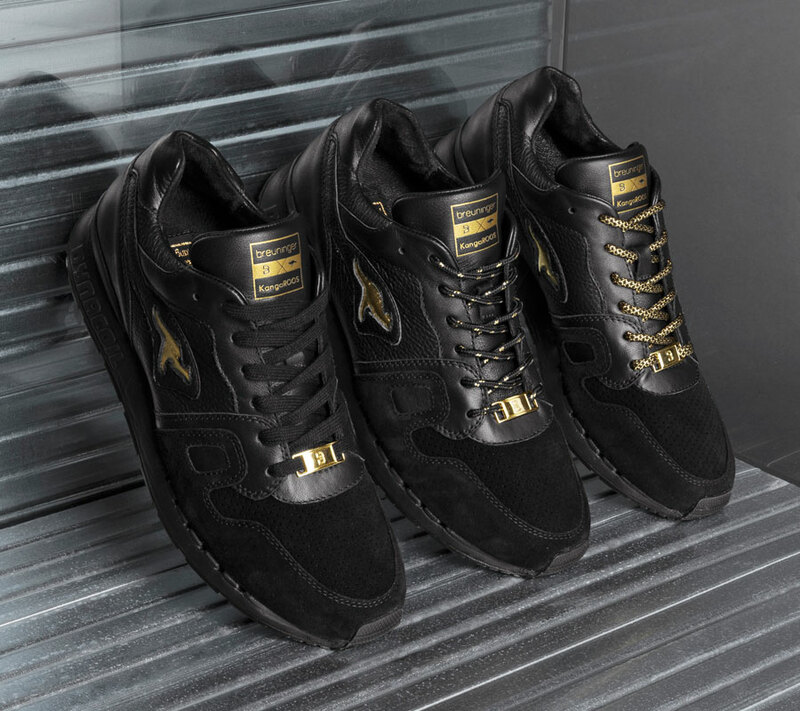 The Breuninger x KangaROOS Triple Black releases on February 1, 2019. The shoe drops exclusively at the Breunigner stores in Stuttgart and Düsseldorf as well as via breuninger.com. 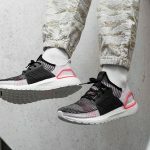 Now also have a closer look at the adidas UltraBOOST 19 “Active Red”.